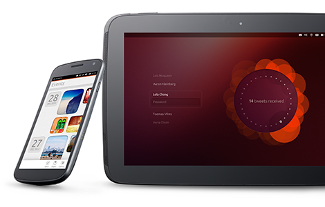 Instructions for flashing a phone or tablet device with Ubuntu. The following steps are required on your desktop system in order to flash and communicate with the device. The PPA has the tools and dependencies to support 12.04 LTS, 12.10, 13.04 and 13.10. Add the Ubuntu for phones PPA by adding the following custom source list entry to your/etc/apt/sources.list file. If the device is already unlocked, skip to Step 4. These steps will wipe all personal data from the device. On your computer, in a terminal, run sudo fastboot oem unlock, on the device screen, accept the terms of unlocking. During the bootloop hold the power button + volume up + volume down button simultaneously to get yourself back into fastboot mode or download mode as you were previously. In fastboot mode or downlaod mode, use the volume keys to scroll to Recovery and the power button to select it. In Recovery (Android robot on his back with a red triangle), tap the volume up button and the power button simultaneously which will bring you into stock recovery. Don't hold the buttons, just tap them simultaneously. Also make sure you're holding the correct volume button. Up will be the volume key on the right. Once you're in Recovery, perform a factory reset/data wipe and then reboot your device, you should now be back to the Welcome Screen. On Jelly Bean (versions 4.1 and 4.2) you need to enterSettings > About [Phone|Tablet] and tap the Build number 7 times to see the Developer Options. On 4.2.2, (Settings > About) tap on build number 7 times to activate the developer options menu item). On either Android version you must then enable USB debugging via Settings > Developer options > USB debugging. You will also need to accept a host key on the device. Note, 'adb devices' should not show the device as 'offline'. If it does, unplug the device, run adb under sudo on the workstation (eg. 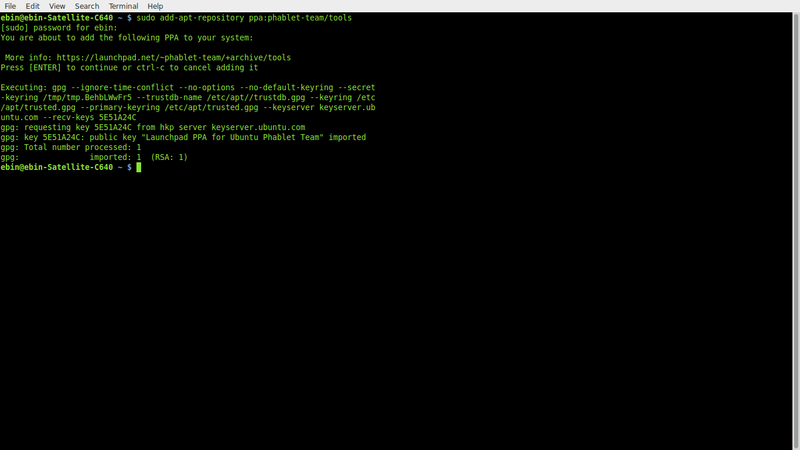 sudo adb kill-server; sudo adb start-server), then plug the device back in. Save the version of the current image on the device, if on Android, to use as a reference to revert back to. The version can be found by going to Settings > About Phone > Build Number. Please note, this will wipe the contents of the device so ensure you have made a backup. This will deploy the latest build onto your device, after which your device will boot into the Ubuntu Unity shell. This step can take a very long time.